Do you want to know how companies accelerate their growth to high 7, 8 and even 9 Figures annually? In my experience, they have implemented the Harmonic Performance Process in their organization. Whether you are an Entrepreneur, CEO or Executive – having your teams operate with Harmonic Precision takes effort, commitment, consistency and the right process… Harmonic Performance is that process. 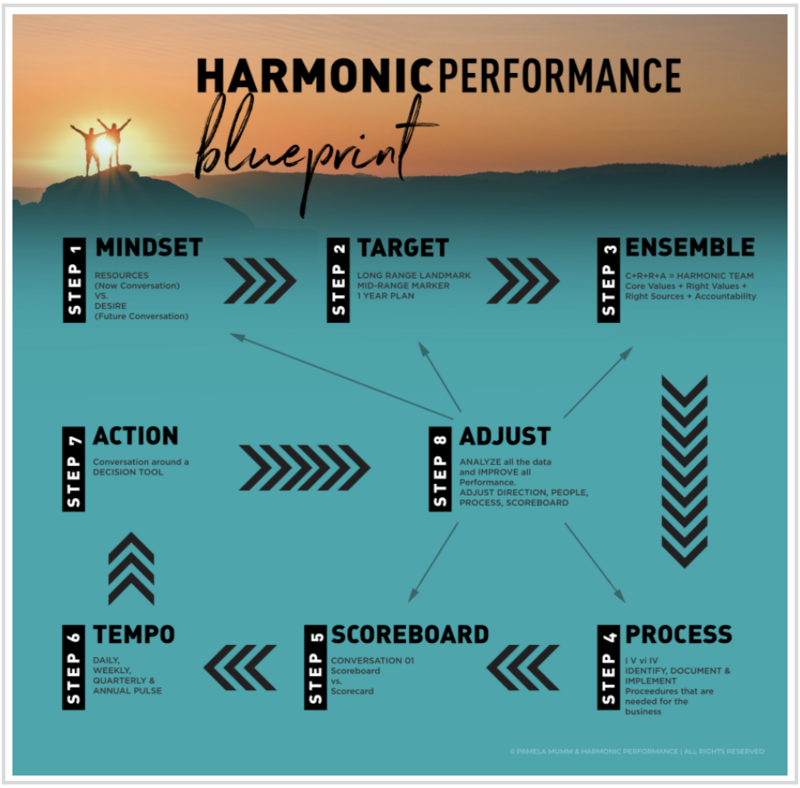 Click the button below to download your FREE Harmonic Performance Blueprint to begin moving your organization to the Next Level today! I specialize in helping Individuals, Teams and Organizations reach unprecedented levels of achievement through the Harmonic Performance Business Model. This proven methodology unlocks the potential of everyone on your team so they are working together in concert delivering dynamic results. While performance starts at the individual level, it is often impossible for an individual to perform at their best and deliver the desired results if everyone isn’t aligned and focused. Harmonic Performance for the team provides the framework to help growth focused businesses create a design down and deliver up practice to drive results. An Organizational Harmonic Performance System means all teams within the organization are working in concert; effectively, efficiently and productively, and the proven methodology is embedded into your organization’s roles, structures, processes, projects and leadership competencies. Increased From $1MM to $4.2MM In Under 2 Yrs. You’ve seen the results I’ve produced for others. Isn’t it time to see what’s possible for you and your company? There is no obligation and I promise you’ll leave with actions you can take immediately from our call together. “Being Nice” is the Enemy of Leadership.